Boarding stables, even very high-end ones, occasionally find themselves with customers who run up large past due balances and refuse to remove their horses. As a result, the facility finds itself essentially feeding and caring for someone else’s horses for free. Meanwhile, the deadbeat customer’s horses occupy facilities that could be filled with paying customers’ horses. How can an Oregon horse facility lawfully sell a customer’s horses to satisfy a debt? Oregon Revised Statute Section 87.226 provides Oregon persons and businesses with an automatic lien on their customers’ horses to satisfy debts incurred in caring for or providing services to those horses, such as boarding, breeding, training and veterinary care. This type of lien is sometimes called an agister’s lien, and it means the facility can refuse to allow a customer’s horses to leave until the bill for those horses is paid in full. File a written notice with the Oregon Secretary of State. The notice must meet all the specific requirements outlined in ORS 87.242(2). Send a copy of the written notice to the horse owner(s) by registered or certified mail. Send a copy of the written notice to anyone else who may have a lien on any of the horses, such as a veterinarian or farrier who hasn’t been paid for working on the horses. This copy also needs to be sent certified or registered mail. (a) Filing suit against the debtor in the Oregon Circuit Court for the area where the horses are located. (b) Filing a petition with the clerk of the Oregon Circuit Court where the horses are located requesting an order for foreclosure of the lien. This petition must include the specific items listed in ORS 87.272. If the lien holder files suit as described in 4(a) above, the lien holder will ask the court to rule that the debtor owes the money. If the court rules in favor of the lien holder, the debtor will generally have 30 days to pay the lien holder. If the debtor doesn’t pay, the lien holder can go back to court and ask for an order permitting the lien holder to sell the horses to satisfy the judgment. If the lien holder files a petition with the court clerk as described in 4(b) above, a judge will review the petition and may consider any other evidence submitted to the court. If the judge finds the lien holder has met the statutory requirements for filing and serving the notice of lien, the judge will issue what is called a show cause order. The show cause order directs the lien holder and the debtor to appear before the judge for a hearing. At the hearing, the debtor can present any arguments it has against the lien. If the judge finds in favor of the lien holder, the judge will issue an order allowing the lien holder to sell the horses. The horses must be sold in a very specific fashion, as set forth in ORS 87.306. Q: The horses aren’t worth anything. Can I give them away, sell them for a dollar, take them to a rescue or donate them to a therapeutic riding facility? A: Not lawfully. If you give away or donate the horses without the debtor’s permission, the debtor could later sue you for what is called conversion. Conversion is essentially the civil form of theft. Even if the debtor doesn’t ultimately win their case against you, you will still have to pay a lawyer to defend you, which is expensive. Q: I don’t know where the debtor lives. How can I send them a notice if I don’t know where they live? A: ORS 87.252 requires the lien holder to send a notice to the debtor’s “last-known address.” If you don’t have a last-known address and therefore can’t send the notice, a court won’t issue an order allowing you to sell the horses. To find the debtor’s last-known address, you may want to use one of the many free online people finder services, such as WhitePages.com (which also has a reverse phone directory search). In extreme cases, you may need to hire a private detective to track down the debtor for you. Q: The debtor has several horses, and one is worth more than the others. Can I keep the valuable one and let the debtor take the rest? A: Yes, but you can only assert a lien on the valuable horse for the amount that is actually owed with respect to that horse. Q: Is there any other way to sell the horses without going through the lien foreclosure steps in the Oregon statutes? A: Only two: Getting the debtor to sign the horses over to you, or getting the debtor to waive their rights under the lien statutes. 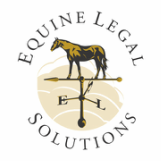 Equine Legal Solutions’ horse boarding contract forms contain a lien statute waiver provision. Q: The debtor already took the horses from my property. Can I still file a lien? A: Because the horses aren’t on your property anymore, you no longer have the automatic lien provided by the agister’s lien statute. However, you can still sue the debtor to collect the amount owed, which is often a more practical alternative to foreclosing on an agister’s lien – here’s why. Q: Do I have to keep feeding and caring for the horses that are on my property, even though I’m not getting paid? A: Yes, or you run the risk of violating animal cruelty laws. A: Yes, as long as you have the horses in your possession. Still have questions? Contact Us to schedule a telephone consultation with an equine attorney licensed in Oregon.